The Samsung Epic 4G Touch is no longer Sprint's flagship Android smartphone, but it will likely live a second life on the carrier's subsidiary, Boost Mobile, given the evidence that just surfaced. Apparently, there is a user agent profile on Sprint's servers for a device that goes by the model number SPH-D710BST. The BST suffix hints that the handset in question is destined for Boost Mobile, and since the D710 is what the Epic 4G Touch for Sprint goes by, we can assume that we are dealing with an Epic 4G Touch variant for Boost Mobile. 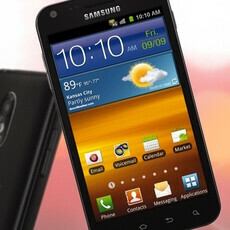 In case you've forgotten, the Samsung Epic 4G Touch is Sprint's version of the Samsung Galaxy S II. It is powered by a dual-core Exynos processor clocked at 1.2GHz and the 4.52-inch Super AMOLED Plus display on its front has a resolution of 480 by 800 pixels. Such hardware specs are not exactly cutting-edge anymore, but not bad either if one is looking for an overall decent mid-ranger that does not require a 2-year commitment to be owned. Is anyone interested in getting one of these on Boost Mobile, assuming the carrier releases it? Or you might prefer going with something different? Let us know by dropping a comment. 4G or not this is so worth the huge super amoled PLUS display at 4.5 inches. If you can do without 720p the resolution, its worth it. iCS, exynos dual core processor, 1gb of RAM. Ha I thought it was odd that VM got the evo 3d and boost didn't. Now it actually makes dare I say.....SENSE!? This is easily the best prepaid phone you can get. Exynos processor is only second to the S4 processor which is pretty much brand new still. If they out a reasonable 299 price tag, expect this to be selling out quickly. Thing is tho they weren't selling the EVO 3D for 299. And that's Apple...Apple would never sell their iPhones at discounted prices without a signed contract. If you can get a unlocked Galaxy Nexus GSM running JellyBean for 349, you can get this phone for 299. I agree with you. If this phone comes too Boost, i will have the biggest galaxygasm on the planet!!!! Amen to that. An OUTSTANDING option for Boost mobile. I think it is still a device that holds up to releases today, even without LTE. Sprints signal is the problem, not the handset. I will get that phone I would like to know when it will be release. I have had the samsung epic 4g Touch for 2 years now with a sprint contract, cause they dont allow to have phone without 2 year. Its a great phone and i planed on keeping it for while longer even. But recently my battery is acting up and its causing me to not be able to use it. So i looked and searched google and found out here that sprint will nolonger be making this phone i take it? Whats your guys opinions on what i should do. I got the phone because i use it mainly for Games. i have 30 games made specificly from this game company GAMELOFT. I would love to upgrade and get a modern phone. Something with Quad processor and a decent megapixel camera would be nice. Any suggestions of phone would be nice. I will say this. Im anti apple products so Iphones are out of the question. and im not really into Nexus phones as they seem to always have issues and problems. Or should i just waist some money on a new battery for my Epic 4g Touch and wait for some new phones to come out? Also if anyone knows any site that will let me know of any phones that are comming out or due out would be nice then can help me decide better.